Advertisements of Hindu religious and caste organisations have now made their way to the railways. Before taking served meals and water inside trains, the attention of passengers is drawn towards the advertisements of various such organisations. On trains such as the Shatabdi and Rajdhani, bottles of mineral water, along with meals and snacks, are provided to passengers, the cost of which is intrinsically added to the ticket fares. 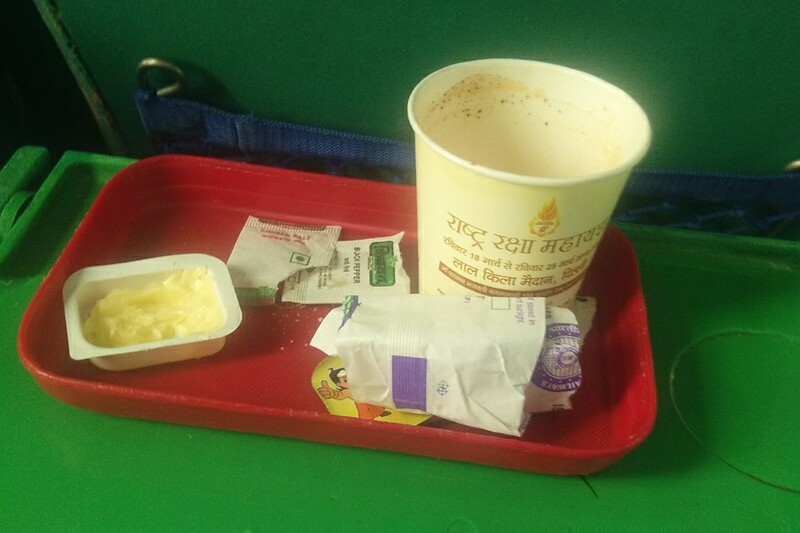 Food and drinking water in trains is provided by the Indian Railway Catering and Tourism Corporation (IRCTC), a subsidiary company of the Indian Railways. This is a way of privatisation where government departments give their franchise to companies on lease. It’s akin to a phenomenon where ‘government wine shop’ is inscribed in bold letters on private liquor shops. Private companies serve not only food and water, but also a variety of advertisements. Just the way complaints related to quality of food in trains have risen, advertisements too have seen an upward trend. During a recent trip in Shatabdi, the paper glasses provided by IRCTC carried an advertisement of the Rashtra Raksha Mahayagna. Union home minister Rajnath Singh had flagged off a Rath Yatra related to the Yagna, which was organised by Yogni Peetham and promoted as a symbol of national integration. In the programme, various Brahminical rituals were carried out that were attended by several senior BJP leaders, some Dalit leaders and Delhi’s deputy chief minister Manish Sisodia. The programme held between March 18-25 this year was an ambitious event by different organisations and pro–Hindutva groups. The historic Red Fort in Delhi was selected as its venue for which several rules and regulations related to heritage buildings were relaxed. Courtesy IRCTC, the advertisement of the Mahayagna was printed on paper glasses meant for serving water, soup, soft drinks and tea. A private company, Media on Track, has entered into a contract with the ministry of railways for selling advertisement spaces inside the coaches of different trains. According to an official, the company has earned contracts for 44 trains from the ministry. However, despite consistent efforts for three months by this writer, the information regarding which department of the railways is responsible for supervising the advertisements on trains could not be availed. The official concerned, who is authorised by the ministry to talk to the media, failed to provide the information, even on a written request. 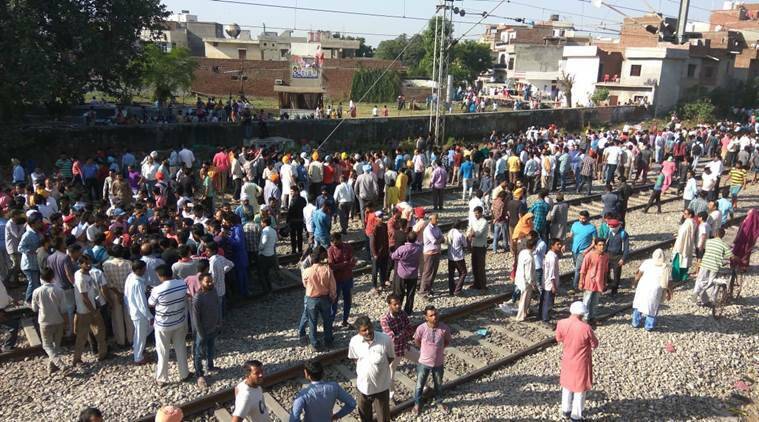 He also expressed his inability to tell if there was any code of conduct issued by the ministry for advertisements by private companies on Indian trains. There is a common understanding that displaying advertisements inside train coaches is a costly business. According to the Media on Track official, the cost of advertisements on 75,000 paper glasses in Shatabdi is Rs 2.50 lakh per month, excluding GST. Similarly, for Rajdhani Express, it is fixed at Rs 1.25 lakh per month. However, the yagna advertisement is not an isolated incident. Earlier, an advertisement for the ‘Swachh Bharat Abhiyan’ courtesy International Vaishya Federation, which is attached to the Sankalp Foundation, was also seen on Shatabdi. Senior Bharatiya Janata Party (BJP) leader Ramdas Agrawal is the international president of the Vaishya Federation and the office of Sankalp Foundation in Delhi is run from the same building in Okhla area where Rajiv Mittal’s Media on Track is situated. It’s a matter of sheer dismay that neither is there a code of conduct in the railways ministry to contain such advertisements nor is there an official in such a large department to keep an eye on such advertisements.